The term "Field Clothing" covers a multitude of items, too numerous to list here. As always we recommend that you call the shop on the number above in order to find out what our current stock is, as it often changes on a daily basis. Schöffel was founded in 1804 in Bavaria, Germany and has over the past seven generations prospered by combining innovation and technology with a passion for superb styling and outstanding quality. It is at present run by Peter Schöffel, the 6th generation of the family. As a specialist brand Schöffel focuses on the latest fabrics and techniques to produce superb clothing which is lightweight, technical, comfortable and specifically designed with the discerning country customer in mind. The Schöffel Country range has been carefully expanded to include several styles in coats, jackets and fleeces of the finest quality in classic, attractive colours. The ladies range is designed to suit the female form by using innovative styling and design, but still retaining the essential features and sporty cut. Every style in the range has been designed and manufactured to the high standard customers have come to expect from Schöffel. Laksen Limited Edition is an exclusive range of high-quality field clothing. 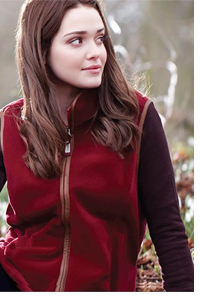 The range comprises a complete attire with accessories for women and men for shooting sport in all kinds of weather. Each garment is made strictly in 100 individually numbered pieces only and the range is completely renewed every year. Since 1907, the hallmark of Alan Paine knitwear has been quality and craftsmanship in luxury fibres. For over 100 years the highest standards have been developed in order to supply knitwear which combines evolutionary style and fit with luxurious comfort and touch. The Country Collection product range is rapidly building a reputation for providing a complete practical and functional wardrobe. The English Explorer Collection was inspired by our connection with the eminent English mountaineer George Mallory. The Lifestyle range is an exciting selection of Alan Paine shirts, polo shirts, jackets and stylish hats and scarves designed to complement your wardrobe. The Duchess of Nortumberland Collection was designed and created in collaboration with the Duchess. This capsule ladies' range is based on aspects of Her Grace's own favourite clothing.